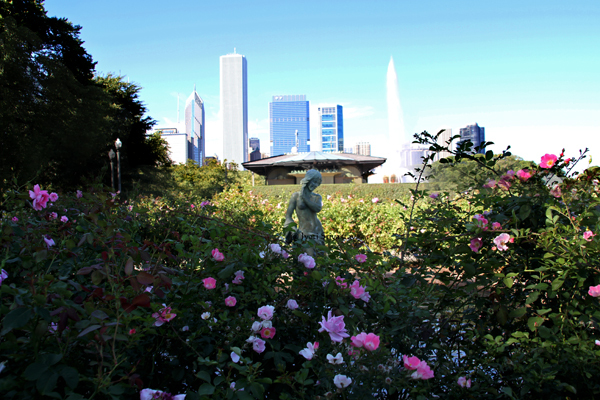 Location: North and South of the Clarence Buckingham Memorial Fountain are the rose gardens. 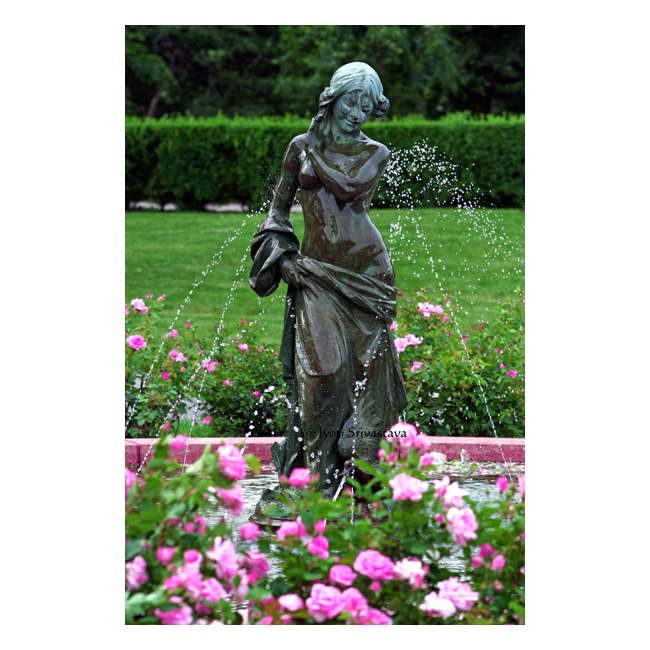 These rose gardens have four circular fountains with bronze figures installed in the center of each. East of S. Columbus Dr. (301 E) north and south of E. Congress Pkwy. (500 S), Chicago, IL 60605. 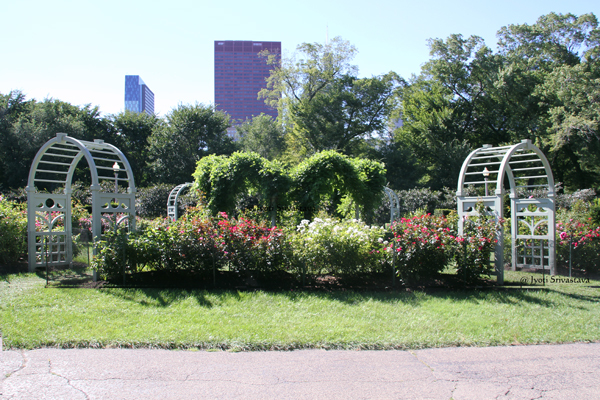 The Clarence Buckingham Founatian is flanked by Rose Gardens in the north and south. 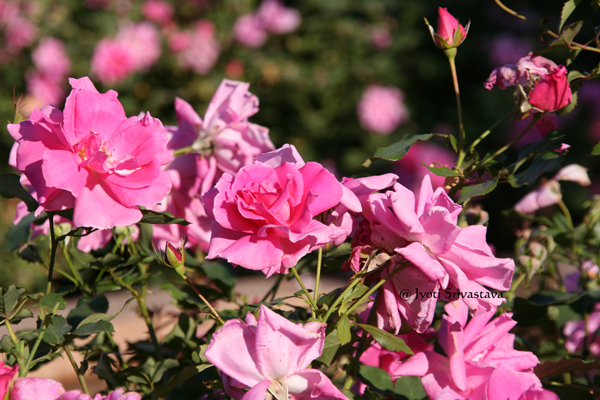 The North Rose Garden has Crane Girl and Fisher Boy. 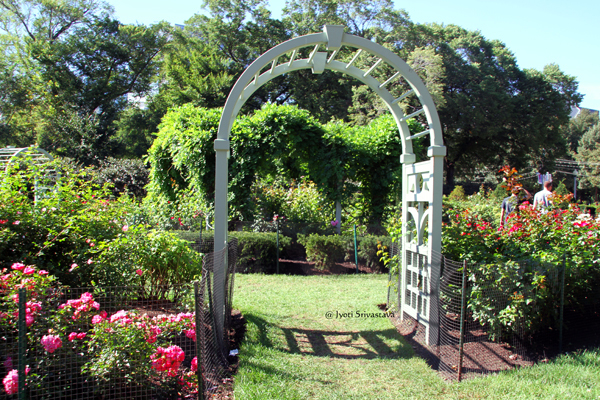 The South Rose Garden has Dove Girl and Turtle Boy. The full-sized plaster models of the figure sculptures were originally displayed in an outdoor art exhibit in Humboldt Park in 1908. 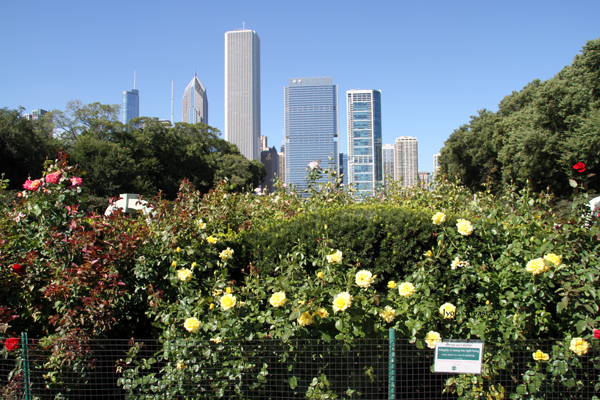 The Chicago Tribune explained that the purpose of the exhibit was to “demonstrate the beauties and the wonderful possibilities of a skillful combination of landscape gardening and sculpture.” Jens Jensen, who is now recognized as the dean of the Prairie style in landscape architecture, placed the figures at the four corners of a rectangular reflecting pool in the center of the circular rose garden. The artworks were so well-liked within this setting, that the West Park Commissioners soon had them recast in bronze for permanent installation. 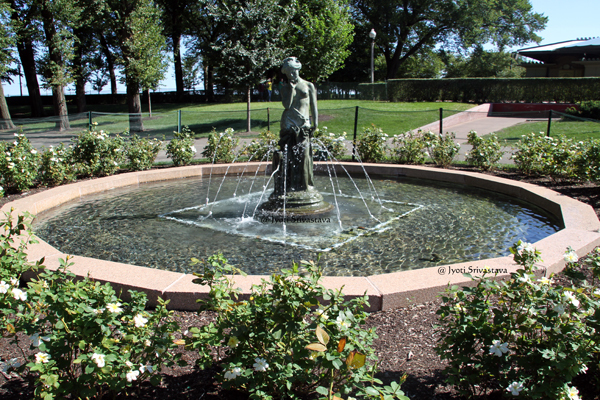 In the 1960s, soon after the Daniel O. Flaherty Rose Garden was planted in Grant Park, the fountain figures were relocated to Chicago’s Front Yard. 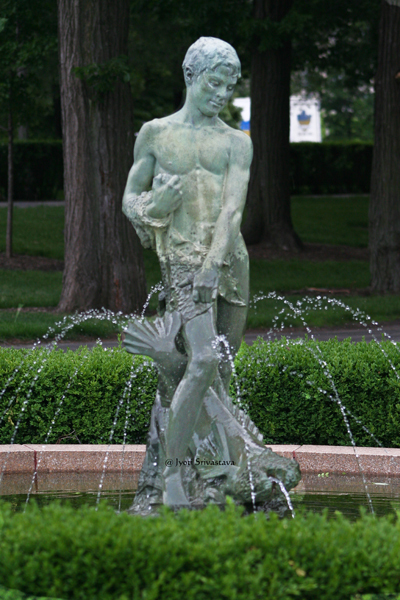 Leonard Crunelle (1872-1945), an artist especially well-known for sculpting figures of children, created the four fountain figures. Crunelle was born in Pas de Calais, France in 1872. 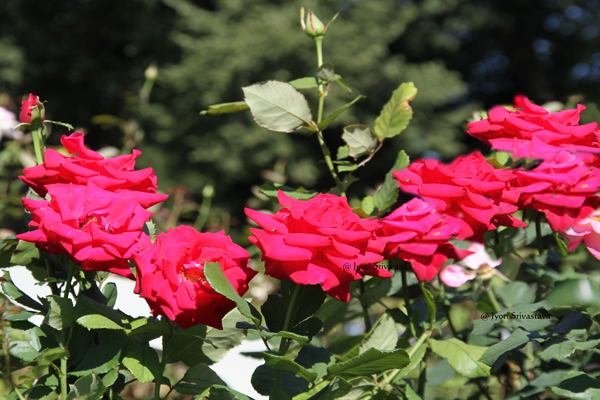 He emigrated to Brazil, Indiana, in 1882, then to Decatur, Illinois a few years later. He worked in the mines of Decatur until came to Chicago as a student and apprentice of famed sculptor Lorado Taft. 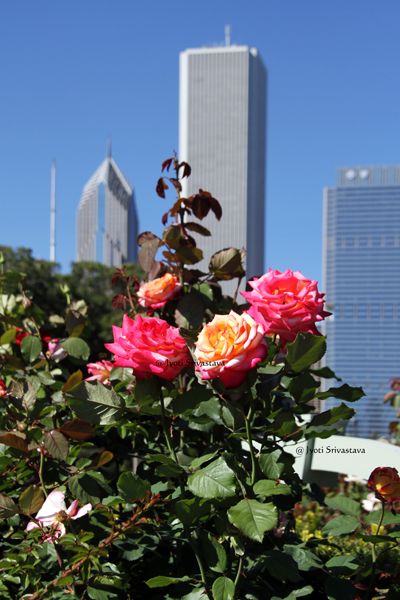 He settled down in Chicago and lived here until he died in 1944, at the age of 72. 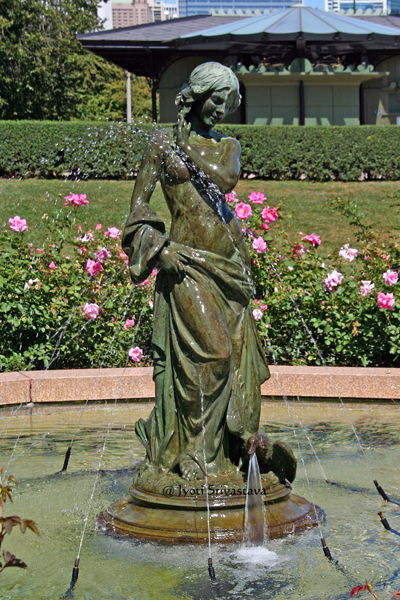 – Heald Square Monument.. click here..
– Victory Monument.. click here..
Crane Girl – by Leonard Crulenne / North Rose Garden, Grant Park. 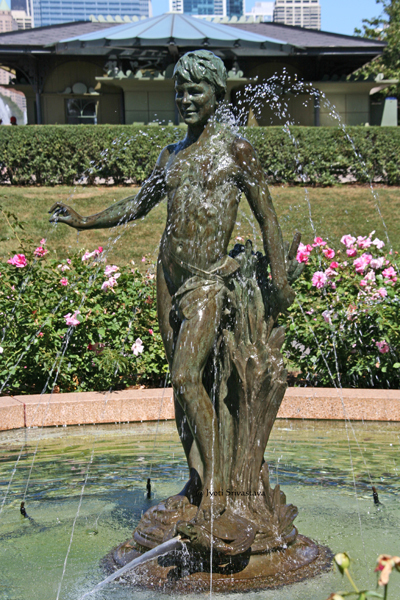 Fisher Boy – by Leonard Crulenne / North Rose Garden, Grant Park. 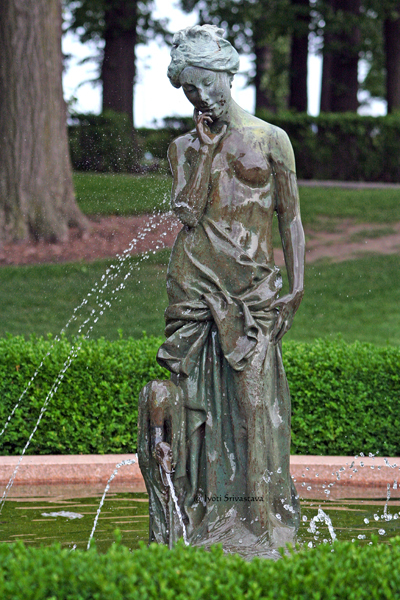 Dove Girl – by Leonard Crulenne / South Rose Garden, Grant Park. 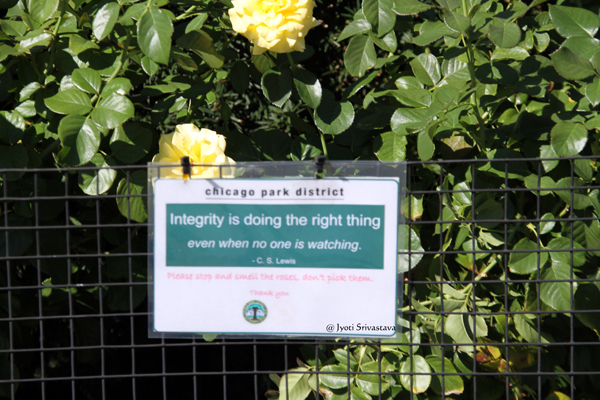 Turtle Boy – by Leonard Crulenne / South Rose Garden, Grant Park. Public Art in Grant Park.. click here..
Public Art in Loop.. click here..
Chicago: Parks, Boulevards and Gardens.. click here..
Chicago: Water Fountains.. click here..